Have you always been interested in keeping up with the latest hair trends and trying out new styles on you and your friends? If beauty is something you’re passionate about, then receiving an education in cosmetology could be a great option for your future! Maybe this is a path you’ve thought about before, but you had doubts about if it’s something you should pursue. If you’re second-guessing a career in the beauty industry, read our blog to see how an education in cosmetology could benefit your future! These are just some of the careers you can have after receiving a license in cosmetology. With so many different areas of beauty available, it all depends on you and what interests you the most. With all these career opportunities in the beauty world, it’s no wonder that employment for cosmetologists is projected to grow faster than the average for all occupations. 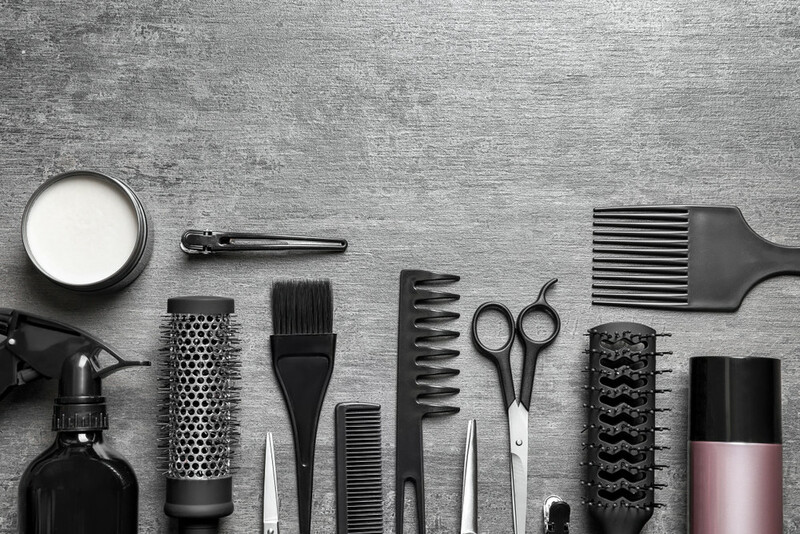 The Bureau of Labor Statistics reports that the job outlook for barbers, hair stylists, and cosmetologists is expected to grow 13 percent from 2016 to 2026. Finding a job is a common worry for people after they finish their education, and that’s why it can feel reassuring to pursue a career that has the numbers to back it up! As we said, the beauty industry is one that is always changing. That means it needs people who are willing to push their creative limits and think outside the box. Communicating with clients and putting your creative spin on their ideas is a fun challenge and what could make you a successful cosmetologist. If you’ve always wanted a career that could push your creativity, then receiving an education in cosmetology could help you realize that goal. With beauty trends always shifting, it’s important that someone in this profession is able to stay up to date while also adding in their own personal style. If you dread working in a conventional 9-5 office job, a career in cosmetology could be a great fit for you. Not only will this career present you with different creative challenges every day, but you may also be in charge of what your schedule looks like. For many cosmetologists, they can decide when to style and cut their clients’ hair. Maybe you even want to be your own boss so you can be in complete control of your day’s schedule. 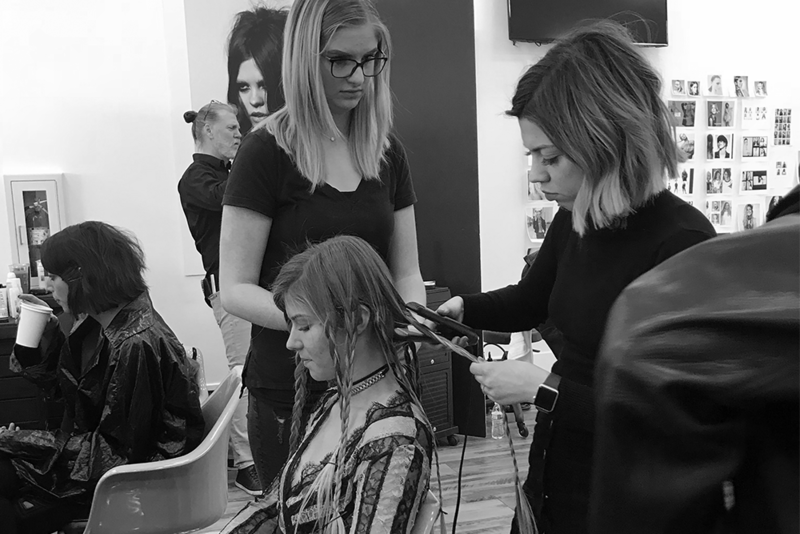 At Collectiv Academy, we not only teach students practical skills for beauty techniques, but we also explore the business side. If you’ve always dreamed of using your marketing and business knowledge to own your own business, then the beauty industry can help fulfill that dream. Receiving an education is a big commitment. It can take a lot of time and money to learn about something that you’re passionate about. That’s one reason why going to cosmetology school could be a better path for instead of attending a traditional college. At Collectiv Academy, you could complete our cosmetology program in as little as 1600 hours. Here, you can finish your education and have the chance to enter the working world sooner. It’s no secret that your education is a huge financial investment. That’s why we want to help students finance their education so they can pursue their passion. At Collectiv Academy, we offer financial aid to those who qualify. Contact us to learn more about our financial aid and if your qualify. Is a Career in Cosmetology in Your Future? Now that you’ve heard some of the ways an education in cosmetology can benefit your future, it’s time to apply! At Collectiv Academy, our cosmetology program covers a variety of skills and cosmetology techniques you could use in your career. Here you can learn about hair coloring, manicuring and pedicuring, business management, facials, and so much more! Contact us if you have any questions about our programs and how you can start the application process. We can’t wait to hear from you! Before you can become a cosmetologist, you need to learn the techniques and styles that can make you successful in your beauty career. In Utah you’re expected to complete the necessary requirements of your chosen program at an accredited beauty school. Depending on which area of beauty you want to focus on, you will have to spend a certain number of hours completing the program that best fits you. Since you’ll be spending some time at beauty school, it’s important that you do some research before you make a commitment. In addition to making sure the beauty school has the program you’re looking for, you should also make sure the school itself will be a good fit for you personally. Look up the owners of the school, so you hear their story and how they can help you on your goals. You should also take the time to tour the school, so you can meet the team who will help you on your way to becoming a licensed cosmetologist. Understanding the school’s culture is just another important step you should take when you’re deciding which beauty school to attend. Once you feel confident that a school is able to provide what you’re looking for, it’s time to apply! If you have any questions about the application process, it’s always a good idea to get in contact with the school so they can help put you on the right path. Don’t forget to look into the school’s financial aid to find out what options may be available to you. After you complete a program at an accredited beauty school, you’re ready to take the next step towards getting your cosmetology license. At this point, you’ll be required to pass the licensing exam issued by the Utah Division of Professional Licensing. The exam includes both a theory and a practical section to make sure that you’re able to apply what you’ve learned to your future clients. When you have completed the necessary hours of a program at an accredited beauty school and passed the licensing exam, you’re ready to apply for your license. You’re not finished working just because you’re a licensed cosmetologist. In the state of Utah, you’re required to renew your cosmetology license every two years. The renewal fee is $52 so you can continue practicing what you worked so hard for. While Utah doesn’t require that you continue your beauty education to retain your license, it’s never a bad idea. The beauty industry is always changing, and continually learning about new trends and styles can help take you further in your career. Now that you know the process of getting a cosmetology license in Utah, it’s time to get started! As we said the first step is enrolling at an accredited beauty school like Collectiv Academy. Our programs offer an extensive look in different areas of beauty that will help you for the licensing exam and beyond. Contact us to ask any questions you may have about the licensing process and we’ll be happy to help you.